Outsourcing industry is going through its next wave of change. While the first two waves were driven by contact centers and software development, the third wave of outsourcing will be driven by business analytics services. Organizations across the globe are looking to generate insights from their customer and operational data. These organizations have an option to either acquire analytics skill in-house or leverage third party analytics service providers who excel in generating data-driven insights. The intent of this paper is to identify the key enablers for analytics service providers and develop a contextual model to measure the performance of analytics services providers. Around sixteen enablers were identified from the literature review. These enablers were subject to a hybrid analysis technique comprising of FAHP and ISM to identify the most relevant enablers and develop a contextual relationship between these enablers. These findings were verified by a group of business analytics experts for their relevance and validity. The enablers identified by this analysis are set to have the maximum impact on the performance of analytics service providers. Analytics Outsourcing, Fuzzy AHP, Hybrid Analysis, ISM, Success Factors. J. N. Warfield, “On arranging elements of a hierarchy in graphic form,” IEEE Transactions on Systems, Man, and Cybernetics, vol. SMC-3, no. 2, March 1973. R. H. Watson, “Interpretive structural modelling - A useful tool for technology assessment?,” Technological Forecasting and Social Change, vol. 11, no. 2, pp. 165-185, 1978. Sushil, “Interpreting the interpretive structural model,” Global Journal of Flexible Systems Management, vol. 13, no. 2, pp. 87-106, June 2012. R. Attri, N. Dev, and V. Sharma, “Interpretive Structural Modelling (ISM) approach: An overview,” Research Journal of Management Sciences, vol. 2, no. 2, pp. 3-8, February 2013. J. N. Warfield, and A. R. Cardenas, A Handbook of Interactive Management, The Iowa State University Press, Ames, 1994. S. Jharkharia, and R. Shankar, “IT - Enablement of supply chains: Understanding the barriers,” Journal of Enterprise Information Management, vol. 18, no. 1, pp. 11-27, 2005. G. Svensson, “Aspects of Sustainable Supply Chain Management (SSCM): Conceptual framework and empirical example,” Supply Chain Management: An International Journal, vol. 12, no. 4, pp. 262-266, 2007. J. C. Duperrin, and M. Godet, “Methode de hierarhisation des elements d’un systeme economique du (Methods for the Hierarchization of the Elements of a System),” Economic Report of the CEA, Paris, pp. 45-51, 1973. Y. C. Lee, Y. H. Chao, and S. B. Lin, “Structural approach to design user interface,” Computers in Industry, vol. 61, no. 7, pp. 613-623, September 2010. A. Mandal, and S. G. Deshmukh, “Vendor selection using Interpretive Structural Modeling (ISM),” International Journal of Operations and Production Management, vol. 14, no. 6, pp. 52-59, 1994. J. Arcade, M. Godet, F. Meunier, and F. Roubelat, “Structural analysis with the MICMAC method & Actor’s strategy with MACTOR method,” Futures Research Methodology, American Council for the United Nations University, The Millennium Project, 1999. 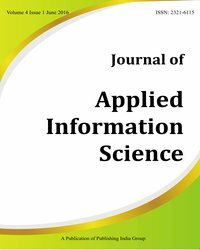 H. Y. Hu, S. I. Chiu, and T. M. Yen, “Modified IPA for order-winner criteria improvement: A MICMAC approach,” Journal of Applied Sciences, vol. 9, no. 21, pp. 3792-3803, 2009. R. Katiyar, M. K. Barua, and P. L. Meena, “Analysing the interactions among the barriers of supply chain performance measurement: An ISM with Fuzzy MICMAC approach,” Global Business Review, 2018. D. Neale-May, “Outsourcing analytics helps provide a high level of expertise,” B to B, vol. 93, no. 2, p. 1515, 11th February 2008. A. Banerjee, T. Bandyopadhyay, and P. Acharya, “Data analytics: Hyped up aspirations or true potential?,” Vikalpa: The Journal for Decision Makers, vol. 38, no. 4, pp. 1-11, Jan-Mar2014. F. Acito, and V. Khatri, “Business analytics: Why now and what next?,” Business Horizons, vol. 57, no. 5, September 2014. L. Bai, “Improving the non-governmental system of outsourcing labour regulation in China,” European Law Journal, vol. 13, no. 6, November 2007. J. Heizer, and B. Render, Operations Management, ed. 9, New Jersey: Pearson Prentice Hall. A. D. Smith, and A. A. Smith, “Exploring the service location strategies behind super bowl venue selection,” Services Marketing Quarterly, vol. 29, no. 4, 2008.